For the second month in a row, Alaska has collected more than $1 million in marijuana excise taxes. 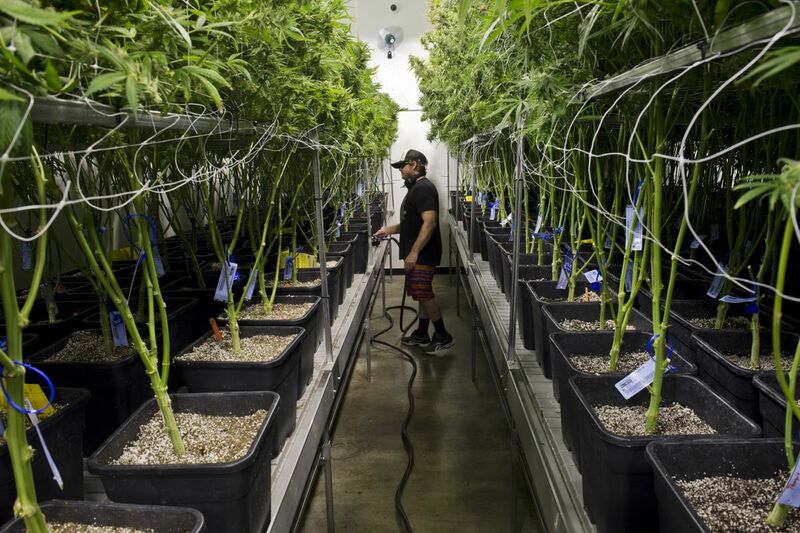 A total of $1,063,847 was paid to the state by 90 cannabis growers in April, according to Kelly Mazzei, excise group supervisor within the Department of Revenue's tax division. Of that, $817,337 was paid in cash, Mazzei said. [Cash buried in the backyard: A side effect of banks' complicated relationship with Alaska marijuana businesses]. Marijuana growers pay a state tax of $50 per ounce of marijuana bud and $15 for trim, which are the stems and leaves of the plant. In April, growers sold 1,033 pounds of bud and 990 pounds of trim wholesale. April's taxes bring the total collected this fiscal year (which ends June 30) up to $8.6 million. That's in line with the state's spring revenue forecast, according to Mazzei, which anticipates $9.2 million by the end of June. Since October 2016, when the first legal weed store opened its doors, Alaska has collected $10.4 million in excise taxes. In other cannabis news, this month Utqiagvik, Alaska's northernmost city, decided to start an 8 percent sales tax. There aren't yet any cannabis stores open in the town formerly known as Barrow. Utqiagvik joins cities such as Fairbanks, Anchorage and Juneau in taxing marijuana locally. In Washington, D.C., Alaska Sen. Dan Sullivan is taking the lead on a new bill that would direct the Department of Veterans Affairs to research medicinal cannabis. Meanwhile, Alaska is in the very first stages of creating a new hemp industry. But first, the state gets to pick the players. And, who can resist some good before-and-after photos? Take a look at how retail marijuana has changed storefronts across Anchorage.